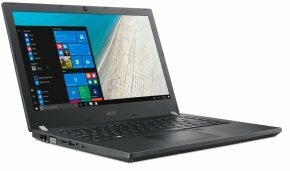 CLR are here to help you in your search for your perfect laptop replacement or upgrade with our Acer TravelMate P449 Laptop Review and Specification article. When it comes to buying a laptop you must make the right choice. Lets do the Acer TravelMate P449 Laptop Review and Specification. You will get all of the info that you need to make your decision, about your next buy. Optimised for both performance and security, the TravelMate P4 Series laptops are business partners that will meet your daily business life. With powerful hardware, extra memory capacity, high-speed storage and high-performance wireless networking, you get a complete package for that will generally meet a business need. But it is not only for business, use it at home and you’ll be fine. Although as a business laptop you know it can handle a more rough use then a laptop made for the home. Further more Acer has enhanced TravelMate software so that it includes solutions for optimised and secure deployments.